COULD THIS BE THE HIGHLIGHT OF YOUR SUMMER? YOUR ADVENTURE STARTS HERE! 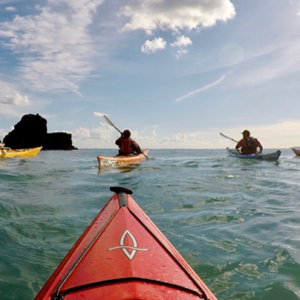 There is simply no better way to get away from the crowds and explore the most unspoilt parts of South Devon’s Area of Outstanding Natural Beauty. Feel the excitement build as you load your kayak with everything you’ll need to be comfortable and self sufficient in the wild for a few days. Once on the water you’ll be amazed that your kayak, which is stuffed full of delicious food, is no harder to paddle then if it was empty! Spend the day paddling along the coast, exploring the coves discovering all the hidden gems that are only accessible by kayak. You will be able to everything that we do on a normal day trip with the added excitement of knowing that you are completely free to do and go where you like with no end of day deadline. 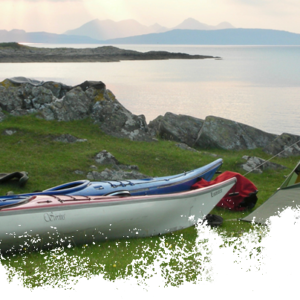 The Sea Kayaks give us the freedom to access beautiful, inaccessible, uninhabited beaches where you can watch the sun set to the sound of gently lapping waves. There’s no better feeling than sitting next to a driftwood fire under a clear star lit sky with a belly full of the most delicious quality food and home baked apple pie. Top tip; sneak out of your tent before anyone else is up and enjoy a refreshing swim in the sun! After filling up on a bacon sandwich cooked by your guide you’ll enjoy another fab day on the water before returning to Dartmouth. We provide everything you could need to be very comfortable for the 2 days. 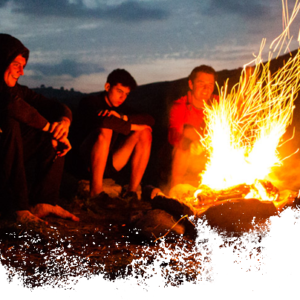 As well as your kayaking kit we also give you all the camping gear that you’ll need: tents, inflatable camp mattresses, head torches, cooking equipment. To store your personal evening clothing and any other gear you want to bring, we give you as many dry bags as you need. One of the highlights of your trip will be the food. It’s all prepared by Kay who before joining the Sea Kayak Devon team spent many years working as head chef at an exclusive wilderness expedition centre. Everything is homemade to order and to the highest quality. Putting together a feast on a beach is great fun and our kayak guides are all experienced expedition cooks. They’ll be there to take charge of the cooking and help you learn new tricks for living in style in the wild! However to get the most out of your trip please bring a warm set of outdoor clothing for the evening, a pair of shoes or sandals that you didn’t mind getting wet, a sleeping bag (we can lend you one if you don’t have your own), a bottle of your favourite wine or beer!